Capcom is quite disappointed with overall sales of the Devil May Cry license: only 10 million worldwide. The license made its debut 8 years ago on PlayStation 2. 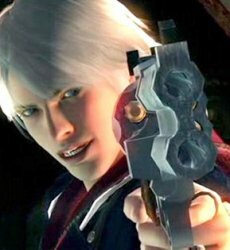 The latest installment in the franchise is Devil May Cry 4, which was released on three different platforms: Xbox 360, PlayStation 3 and PC. At present time, Devil May Cry 4 is the best-seller in the series. Needless to say, Capcom must be having second thoughts about moving on with a new DMC game. The company’s portfolio features at least two other well-known franchises, which both managed to have much better financial results. The first worth mentioning is Resident Evil license, which sold almost 35 million copies worldwide (as of may 2008), while Street Fighter beat up good other competitors and shipped around 25 million. These being said, don’t be too surprised if the Devil May continue to Cry, but it will do so in a closed closet where nobody will be able to hear it. Electronic Arts On Battlefield: Bad Company Multiplayer: Buy The Weapons!